The 5 Gallon Bulk Container is the Most Economical Choice for Large Stainless Passivation/Rust Removal Jobs. 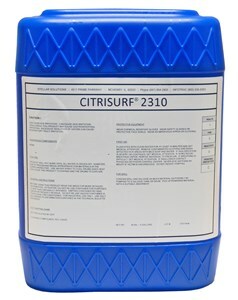 Citrisurf 2310 is also available in convenient 22 oz. spray bottles and one-gallon sizes.